Our objective was to find an alternative toxin-free method to reduce rat numbers in areas of the Abel Tasman National Park with high visitor numbers. 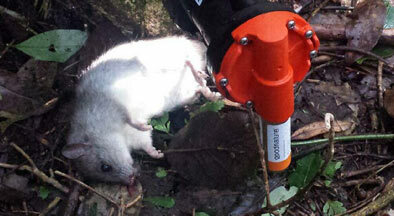 A total of 203 Goodnature A24 traps were installed to test if rat numbers can constantly be kept low. Over three and a half years, rat tracking rates showed a mean of 6.1 %, or 3.9 % excluding mast year peaks, compared to 90 % in the non-treatment area. The results show that A24 traps are a powerful tool to effectively reduce rats in the long term.